“There’s something going on right now in our country that’s really dramatic,” said Mark Potok, SPLC senior fellow and author of its “Year in Hate” analysis, an annual index of groups promoting ideologies elevating one race above others. Potok detailed numerous examples of racist threats, plotting, and violence in a two-hour briefing Wednesday. The trends were tied together by a common thread, he said, the modeling and license given by Donald Trump’s campaign and his administration’s early actions against immigrants and Muslims. Potok said America has become a nation where bastions of angry, aggrieved, economically struggling men—usually white—feel freer than they have in decades to lash out at anyone unlike them. The SPLC has been tracking and documenting domestic right-wing extremist groups for three decades. They define a hate group as any with an ideology that elevates one race above others, and taking a range of public actions to promote that racist view: seeking members, selling or distributing literature, holding rallies, planning and executing threats, and even violent attacks. The jump from individuals searching online and sympathizing with white supremacist views to lashing out was not a straight or a predictable line, Potok said. Nonetheless, SPLC’s 2016 report found that the greatest increase in attacks were against Muslim-Americans. But there are other forms of racism in America and those people reacted differently to Trump. Many “patriotic” or militia groups became dormant in 2016, SPLC found, with their number falling from 998 in 2015 to 623 in 2016. Potok said that was because Trump was “so revered” by the people in these groups that they no longer needed operate independently and simply joined his campaign. On the other hand, Trump’s white nationalism led other previously shadowy groups to emerge publicly. Stepping back from 2016’s political rhetoric, Potok said the emergence of the so-called alt-right was nothing but a “rebranding” of white supremacist ideology aimed at luring younger adherents. This message, which was at the core of Trump’s candidacy and dominates White House policies, is causing real harm, he said, citing one study in which 90 percent of 10,000 K-12 educators said the election had created a negative climate in their schools, and 80 percent of non-white students “had raised fears in serious ways.” Moreover, these beliefs are shared by many in Trump’s inner circles. The SPLC map of hate groups shows that no state is immune. Potok said every population has a cohort, and they often arise where economic hardship confronts rapid social change. The expressions of hate and their local faces vary with local culture, Potok said. Potok gave the example of the outer suburbs near Los Angeles as being an area where lower income whites resent an influx of non-whites from that diverse city. What is alarming today is how white supremacists are ascendant, Potok said. Contrary to right-wing propagandists’ claims, there is no corollary on the left. Potok is under no illusions that the Pandora’s Box of hatred unleashed by Trump is going away anytime soon. The percentage of foreign-born people in the country now—13.7 percent—is on par with the levels in the decades of the 1910s and 1920s. In 1924, Congress passed a federal immigration law with quotas that prevented Europeans fleeing the Nazis from coming here. A year later, the Klu Klux Klan boasted 4 million members, the largest number ever. American history doesn’t quite repeat itself, but the SPLC report suggests that the country has entered a dark era, where white supremacists will keep lashing out—especially as the numbers of whites continues to shrink nationwide in an ever-more diverse overall population. What a surprise. When you scare the crap out of the rubes each and every day their fear, hate and distrust provides all the motivation required for these groups to flourish. Yes, you are an America-hating lickspittle. I think Godzilla was referring to Trump’s press conference or his son-in-law’s meeting with CNN. Absolutely predictable. No facts, no counter-arguments even, however lame they might be. Just simple denial. Obviously you haven’t the intelligence to construct a coherent counter-argument, even if there were any facts for you to cite. Everyone with any intelligence is laughing at you and other morons who can’t even articulate a coherent and even slightly fact-based reason why they voted for the man in the first place. We can always raise enough money for him to get a rectocraniotomy, but he would probably spend it on another Teflon Donnie blow-up doll to sleep with. Just keep sucking on your Trump-shaped dummy, Dummy. I’m sure it’ll help you cope as his regime collapses to the sound of disbelieving laughter. Hey, at least his mommy let him get the Teflon Donnie blow-up doll he sleeps with. That the t-shirt you wear? Nah. That’s what passes between where his ears are supposed to be. Thanks, but I only consider scams from the large chested women with bright red lipstick and way too much make-up. How did you get in here? And, shamefully enough, the DoJ refuses to consider these as “Terrorist activities” under Teflon Donnie’s administration. Why? Because they are not perpetrated by people with “funny names”. …and it makes me want to hide in the bathroom and weep. Thank You Mr. Trump you little weasel for making America HATE again ???? Trump has always been a racist like his father before him. He’s a bigot and a misogynist and a full blown racist which is hard to understand, really, given that he has a seriously bad complexion (and more orange than white), ridiculous hair, and is grossly obese. He’s practically illiterate, lazy, and slothful. It is amazing that anyone like Trump would have the nerve to judge other people. Must make him crazy that President Obama is so youthful, handsome, trim and fit, and so, so very smart. The detachment from reality on the left gets wider and wider every single minute of every single day. Liberalism, the left, and democrats have been decimated since the 8 year lunacy run of the obama nightmare. There’s a rag, tag group of lefties that have gone completely psychotic causing havoc across the country. I PRAY President Trump has the fortitude to see through to the complete annihilation of that INSANE group. President Trump has enormous support. God Be With You President Trump!!! 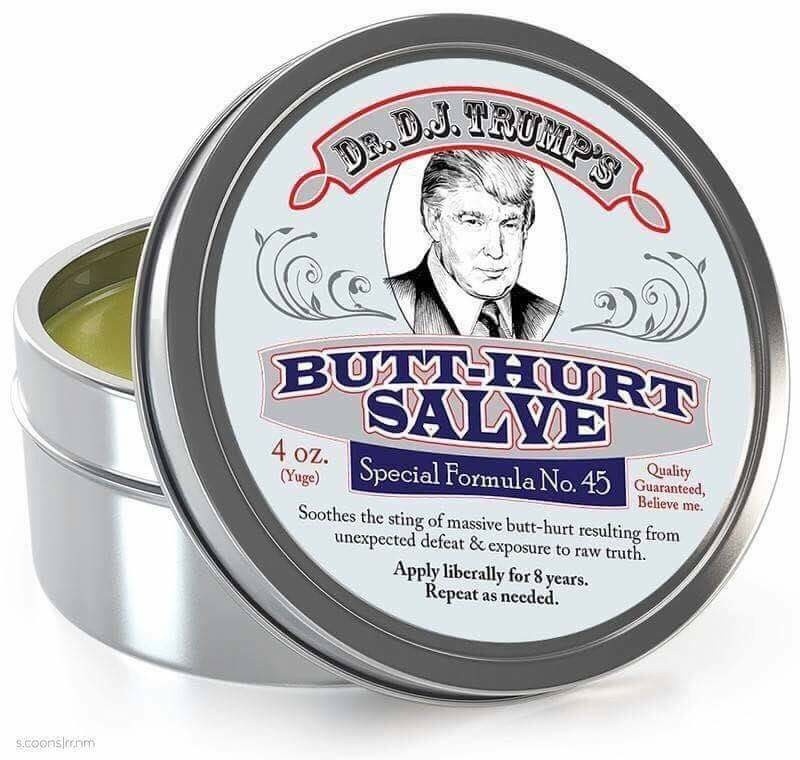 Here’s a gift for you lefties to help with the pain – use it. I see you’re one of the ones that seems to think that Bannon and his thugs are fine…..you don’t mind spreading hate and dysfunction throughout this country. It’s pretty sad that this country is so divided and can’t seem to get along, especially when things used to be so peaceful. But, again, let’s blame President Obama, who really had NOTHING to do with it in the least! But, since you certainly can’t blame yourself…..you have to find SOMEONE to blame! Get a life! I don’t get “fake” news….I get REAL news, which you wouldn’t know if it fell over you! Your comment is a prime example of the hate that has been spawned by this president. You have NO idea who I am, what I believe, or anything about me; yet, you send an e-mail that is totally inappropriate and ridiculous! You have the right to feel any way you do, and I have the same right. Please respect that right as I respect yours. 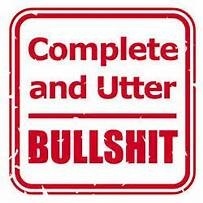 You certainly don’t have to agree with me, and that’s expected, but to make comments like you have made is out of line! I’m sure I know EXACTLY who you are. You and your ilk are the reason we’re in the shlthole we’re in. But what’s FANTASTIC is your side has been decimated, all that’s left is to pick up the broken glass. By the way– I never sent you any email. First of all, I misspoke when I said “e-mail.” I meant your post. Secondly, how do you know where I get my news….I don’t believe I mentioned anything about where I get my news, so not sure why you think that I get it totally from CBS or NBC. Lastly, not sure why you seem to think that just because I’m from California that I’m a nut…..I probably have more education than you do! In fact, I’m a member of Mensa, so I’m not really stupid. I use my brain to decide what news is true and what news is false…..I don’t subscribe to any ONE news source. I tend to actually research anything I read to determine whether it’s true or false…..something that you probably don’t bother to do. As for your comment that I “parrot” exactly the narrative from the left with no deviation…..sorry, not sure exactly what you mean since I have my own thoughts and comments. I’ve voted as a Republican in the past, and I’ve voted as a Democrat in the past…..I tend to vote for the individual that I think will do the job. So, I’m not exactly on the left…..actually, I’m more of a centrist if you wish to know for sure where my politics lay. You DO know that this president did NOT get the majority vote, right? So, not sure why you seem to think that “my side” has been decimated (and you really have NO idea how I voted). Have you watched or read about many of the marches going on nowadays…..seems there are a lot of people who feel the same. Since you seem to have nothing to say of any consequence, I have taken the opportunity to block you from future responses, so don’t bother, okay? All you seem to have is hate-filled BS, which is what this article is basically about! I have NEVER in my many years on this planet EVER seen so much hate between people just because they don’t agree about politics. It’s totally unnecessary and pointless! But, apparently, you don’t seem to understand this! We ALL have the right to feel the way we do and to express ourselves. I try to respect anything someone says because they have that right…..but, it seems, you don’t. So, please, just keep your hate-filled rhetoric to yourself! You did meantion where you get your news, cupcake. And the hate is on the anti- Trump side. What’s typical is shutting down discussion when things get thorny from your side. Nothing I said was hateful. I DO hate, however all the disrespect I see directed toward President Trump. Lets just agree, you’re wrong on everything- have a nice day. I have to blame Bannon and his gang of thugs……45 doesn’t listen to anything except the last person who “whispered” in his ear, and who has that ear…..Bannon! Breitbart is a white supremacist, alt right group, and he’s their leader! His mantra is that he wants to cause major chaos in our government and destroy it…..and he’s doing a very good job with 45 as his puppet. The unfortunate part is that 45 is so stupid that he can’t see it for himself! It stresses me out to think where this country is headed with Bannon and 45 in charge! It won’t be pretty! You spout the garbage you read like a dyslexic parrot. My GOD– you lefties can’t think for your selves. Everything that I said in my last comment is totally provable.